This was a great buy, easy to wire up and surprisingly accurate, when I measured up to 3 metres. I found another blogger who had created the code. 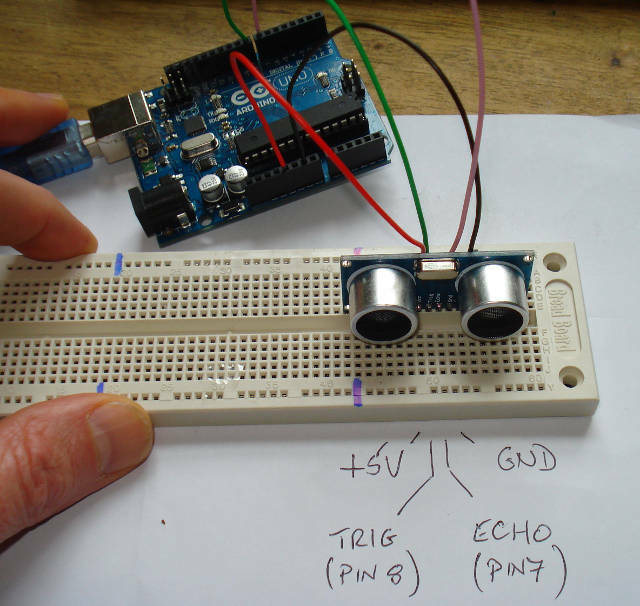 The ultrasonic distance sensor and pin layout. 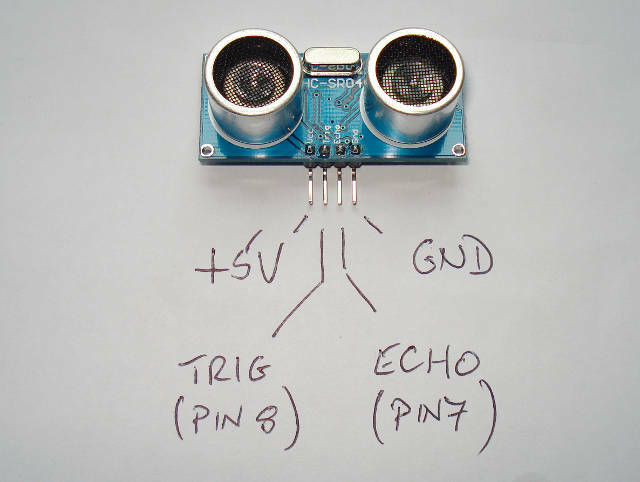 Once I've built my robot, I intend to mount this on a motor, and work out the shape of the room using basic trig. Here is it wired up, and the code is below.